These 20mm edible decorations . 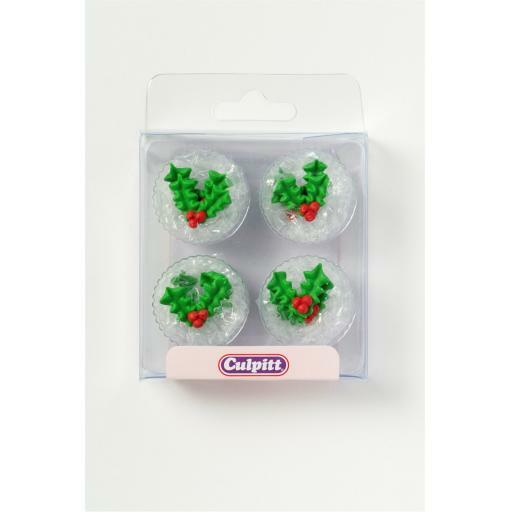 There are 12 Sugar Pipings per pack These delightful Holly and Berry cake decorations are individually hand piped using royal icing. They make great cupcake decorations, or they can be combined in a pattern to decorate a full sized cake.